Just popping in to say hello and let you know what's happening in my part of the world. I told you all last week that I was designing a dress for the bunny and since then I've made quite a bit of progress! UPDATE: One dress has been posted. Click here for the pattern. And if you don't know yet, I did add a search bar to this blog. It's located near the top on the right hand side. 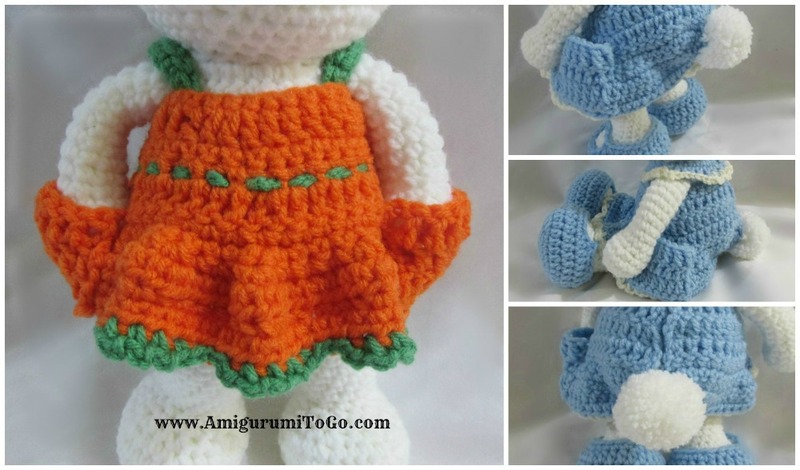 All the amigurumis you see in the basket are free patterns already available except for the dress. One word searches work best. So head up the the search bar and type in "Elephant" or "Bear" or "DUCK" or anything else you like. 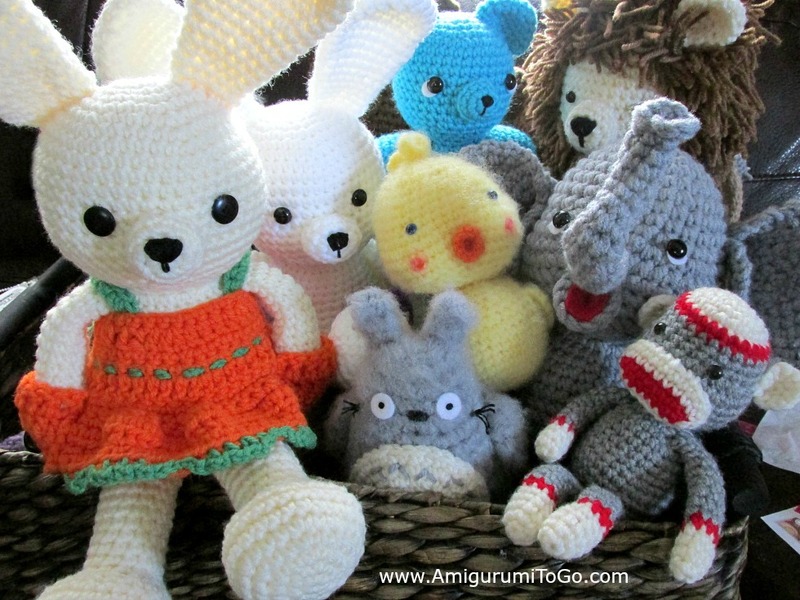 I have around 100 free patterns here on Amigurumi To Go. I haven't done an official count yet but it's close to or over that. So take your time and have fun! Looking forward to seeing the patterns for the dresses!